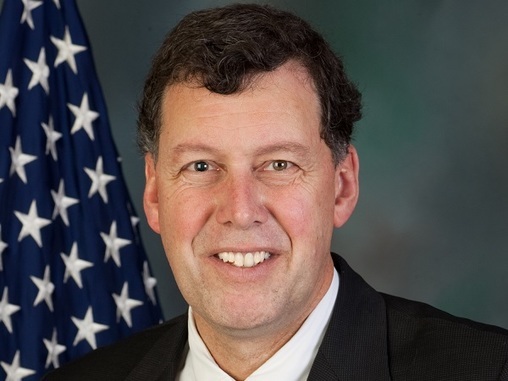 HARRISBURG (WSKG) — Longtime Republican lawmaker Scott Petri, who vocally opposed recent expansions to Pennsylvania’s gambling industry, is resigning at the end of the year. He had served as chair of the House Gaming Committee. The Bucks County Republican says he’s stepping down from the legislature to become executive director of the Philadelphia Parking Authority. The previous director, Vince Fenerty, resigned amid sexual harassment allegations. Petri helmed the Gaming Committee through a budget process that saw his own chamber’s leaders throw their weight behind a sweeping gambling expansion, hoping to use the revenue to balance state finances. He was always reluctant to support it–particularly provisions that would have legalized remote video gaming terminals in bars and taverns across the state. Senate leaders were also cautious about the plan. Ultimately, a more modest expansion passed that included limited VGTs in truck stops and licensing of a new class of miniature casinos. Petri says he thinks he was right to be skeptical, because over 600 municipalities have so far opted out of parts of the expansion. Committee assignments are generally based on seniority. Armstrong County Republican Jeff Pyle is next in line to succeed Petri, though House leaders haven’t made any decisions yet.